To match keywords as a “nearly exact” phrase to the Organization's Name, Mission, and Programs, enclose the chosen words within double quotes. For example: “computer programming languages”. A “nearly exact” phrase is one in which the words appear in close proximity to each other and/or may not be as ordered. Also, a phrase can be combined with either of the other two operators (“+”, “++”), to limit the phrase matching to only the Organization's Name or Programs. 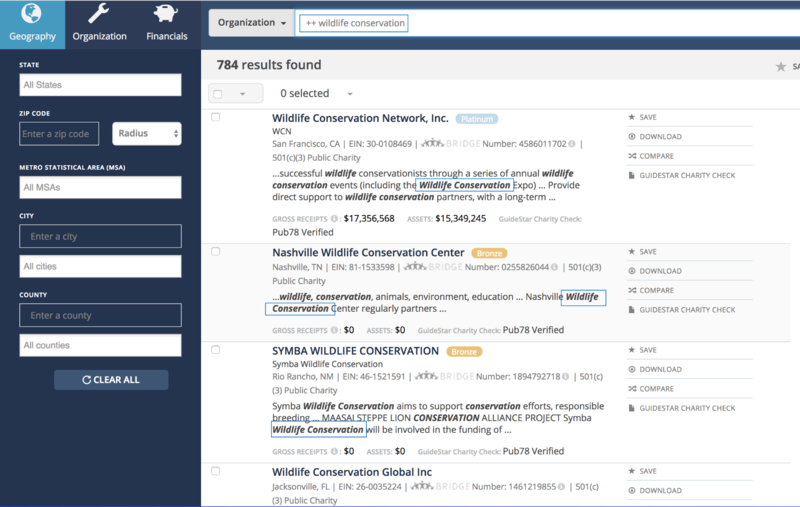 For the use case of a phrase with additional keyword(s) not included in the quoted phrase, for example: "wildlife conservation" foundation; the words wildlife and conservation must be matched in proximity, but the word foundation can be found/matched anywhere on its own. To match keywords only to an Organization's Name, preface the keywords with the “+” character. For example: + wildlife conservation. This will result in a list of all nonprofits with all keywords in the organization's name. To match keywords only to an Organization's Programs, preface the keywords with the “++” character. For example: ++ wildlife conservation. 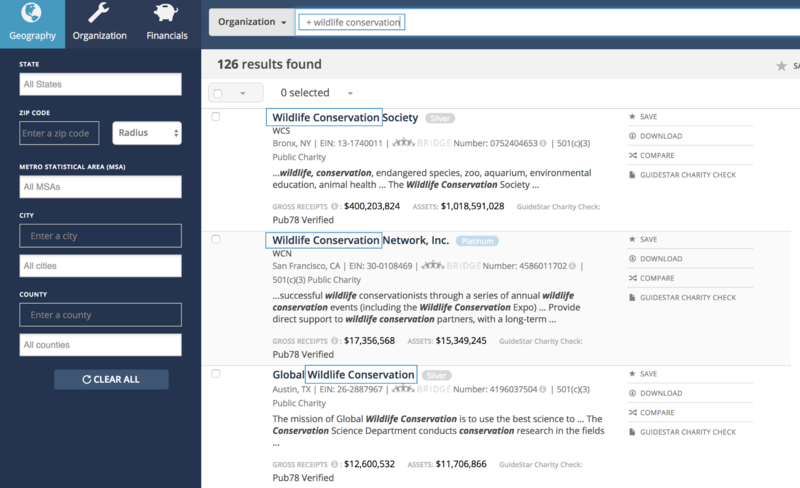 This will result in a list of nonprofits with all keywords found in the Program section.